The most popular route is Cairnryan to Belfast. The average price this month for this route is £78.50 for a car and two people each way. Booking a ferry to Northern Ireland is simple, easy and safe with AFerry, just use the booking form above to get a price. Booking a ferry to or from Northern Ireland couldn't be easier with AFerry. You can either use the booking form at the top left of the page. Northern Ireland has a lot to offer visitors. 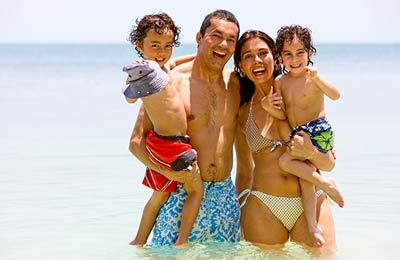 It is renowned for its friendly people and natural beauty. Any holiday to Northern Ireland will leave you with a lifetime of memories. Northern Ireland is also steeped in history from Norman castles to remnants of the early Christian era including monasteries, abbeys, and, of course, Celtic crosses. Northern Ireland is also famous for its lively charming pubs that are the perfect place get a taste of Northern Ireland in the 21st century. Sitting down to a pint of Guinness in bars like the John Hewitt or Crown Liquor Saloon in Belfast is the perfect opportunity to strike up a conversation with some of the friendliest people you'll ever meet. Explore the unspoilt green landscape or meet some of the friendliest locals in the world in one of Belfast's many vibrant pubs. 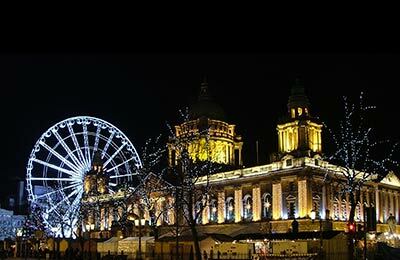 Northern Ireland will you leave you with memories sure to last a lifetime. If you are a nature lover, you will love Northern Ireland. In fact, even if you aren't, Northern Ireland will make you fall in love with nature. Pure unspoilt forests, lakes and rivers will take your breath away and help you to escape the pressures and strains of modern day life. From Kebble Nature Reserve on Rathlin Island to Castle Archdale in County Fermanagh, you are guaranteed to be seduced by the history and majesty of Northern Ireland's countryside. Rail services in Northern Ireland are run by Translink. All lines offer a combination of express services and trains that stop at each station. Seven trains operate per hour at peak times on key commuter lines. If you are coming with your car by ferry or planning on hiring a car on arrival, you will find traffic on the left like in the UK. If you are not used to this, don't forget because you may not see a car for a very long time on some of Northern Ireland's meandering country roads and lanes. Buses in Northern Ireland are also operated by Translink. Between cities and towns in Northern Ireland, there is a high speed coach service called Goldline. In Belfast city the bus service is known as Metro and operates in all the major areas of the city. Throughout the rest of the country (not including Belfast) all local bus services are operated by Ulsterbus. Any stay in Northern Ireland must include a visit to Dunluce Castle in North Antrim. Perched on top of cliffs beaten by the waves of the Irish sea, the remains of Dunluce Castle really is a sight worth seeing. Also in Northern Ireland in County Antrim is the world famous Giant's Causeway. 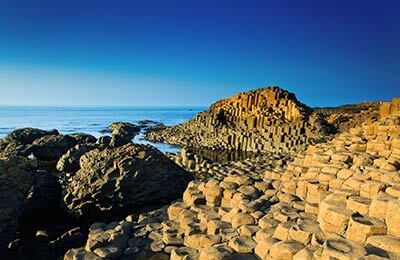 Giant's causeway consists of around 40,000 interlocking hexagonal basalt columns that wander out into the sea. The result of ancient volcanic activity. The Giant's Causeway was voted the fourth greatest natural wonder in the United Kingdom and was declared a World Heritage Site by UNESCO in 1986. Music lovers and modern day bon-viveurs are also sure to fall in love with Northern Ireland. You can experience just how a pint of Guinness should be poured in a historical Belfast bar like the John Hewitt or Crown Liquor Saloon. The perfect chance to strike up a conversation about topics of the day and the perfect place to receive a dose of famous Northern Irish humour and charm. you are guaranteed to be seduced by the history and majesty of Northern Ireland's countryside. For music lovers there are traditional festivals, rock concerts and clubs where the biggest DJs in the business perform to sell-out crowds. Wander down the cobbled streets of North Belfast until you hear the unmistakable sound of fiddle music. Step inside and you are sure to have the night of life. Just don't drink too much of the black stuff or you'll need a hearty breakfast to get over it. In fact, sampling a famous mouth-watering Irish breakfast is a treat regardless of the previous night's exploits, as it is indeed the perfect start for a day of sight-seeing.